Act Now to Get Free Raynor Products! Gateway FS Construction Services prides itself on offering our customers the highest possible quality construction materials, including garage doors and openers from our partner, Raynor Garage Doors. Along with Raynor Garage Doors, we work with you to help you choose the ideal door and opener to meet your particular needs. We understand how difficult it can be to choose the exact right garage door and opener, especially an overhead door system. Whether you are looking for a garage door and opener for your home or business, we’ve got you covered. Our sales consultants at Gateway FS Construction Services stand ready to help you determine which of these great Raynor opener systems is right for you. Please contact our team at Gateway Fs Construction Services today so you don’t miss out on this great offer. And once you’ve decided which of these garage door systems meet your needs, as an authorized Raynor dealer, we will install your new garage door system for you. Then we will continue to work with you and provide the best available garage door system maintenance and service to ensure your new system stays operational for years to come. Whatever your construction needs, you can count on our professional team at Gateway FS Construction Services. Give us a call at 866-551-3454 and let us help you meet your specific construction needs. We look forward to providing you the best customer service experience. With fall just around the corner, many of us turn our attention to making visual improvements to our business, farm or home, including interior and exterior painting. Knowing that many people are probably considering some sort of painting project, you may notice unfamiliar painters in your area looking for work. 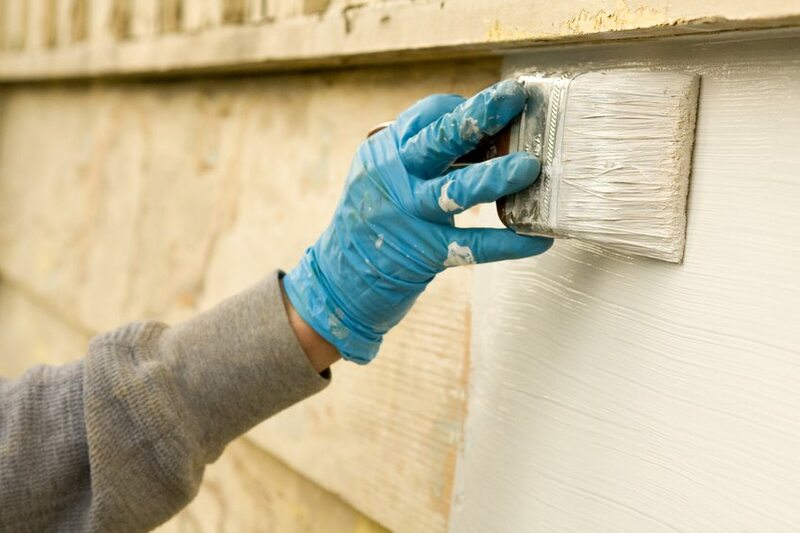 Often they claim to have “excess” paint from another job in the area and are offering to use it up on your property along with deeply discounted labor. The professional paint team at Gateway FS Construction Services call these painters “fly by night painters” and would like to caution our customers when considering hiring one of them. Are they bonded and properly insured? Many carry minimal to no insurance, meaning you would likely be liable if they are injured on your property. This fact alone should be weighed seriously before entering into any type of contract. Will your property receive the proper preparation? Most of the time “fly by night painters” simply spray paint directly on the surface to be painted with little or no surface preparation. The paint will not last long under these conditions. Do they stand by their work and offer any type of warrantee? By the time you notice that you have a problem with your paint job, these painters will be long gone. In the long fun, you will end up spending more money having your property prepped properly and repainted correctly. The Gateway FS Construction Services team has over 20 years of experience and provides product lines that are designed specifically for specific project needs. We feature Valspar paints, one if the highest quality rated paints available, to ensure a finish that will look good for years. Finally, you will always receive a free estimate that clearly outlines each detail of your project. With certified paint consultants on our professional painting team, Gateway FS Construction Services is local, insured and has decades of experience. If you need a paint job done right, we at Gateway FS Construction Services are the people to call. Whatever your painting needs, you can count on our painting crew at Gateway FS Construction Services. Give us a call at 866-551-3454 and let our specialists work with you to meet your specific needs. We look forward to providing you the best customer service experience. Think a custom storage building is out of reach? Think again. Could you use a brand new building for your farm, home or business? At Gateway FS Construction Services, we offer a wide array of services. Included in these services is the construction of sturdy, dependable and versatile commercial, suburban and agricultural buildings. A wood-framed building can be hugely beneficial to your company or family for storage of vehicles, equipment or expanding to meet equine, diary or livestock needs. 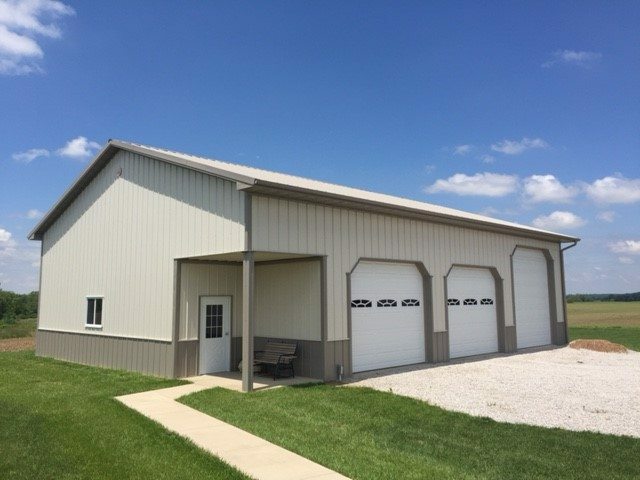 Custom designed and built by Gateway FS Construction Services, this impressive multi-functional vehicle and storage building is 42’x56’ and was constructed on a concrete slab. The beautiful custom design included an 8’x10’ recessed porch plus, additional features including 12” overhangs on the gables and 24” overhangs on the eaves. This innovative storage building not fit but exceed the needs of our client and provided them with the additional storage they needed. The project was finished off with fully functional and esthetically pleasing overhead doors including windows to allow for natural light. Building a post-frame building gives you maximum flexibility. While designing the layout of your soon-to-be wood-framed building, you will find you have the freedom to design as you envision it. If you can dream it, we will work with you to engineer it and build it! In addition to this, another benefit from building a wood-frame building is the ease of insulation. The larger the building, the more difficult it becomes to control the climate inside. Therefore, choosing wood is ideal to help regulate the toughest climate control situations. A final benefit of building a post-frame building is the amount of money left in your pocket. Yes, that is correct. Wood post-frame buildings not only provide the flexibility you need but do so while providing exceptional value for your investment. This is just one of a variety of buildings we will be featuring that spotlight the versatility, capabilities and craftsmanship of our building specialists. At Gateway FS Construction Services, we are here to build you what you want – on time and on budget. As one of Southern Illinois premiere builders, Gateway FS Construction Services seeks to provide you with the latest construction technology at the best possible price. For more information regarding your building construction needs, please do not hesitate to contact us at 866-551-3454. We look forward to providing you with the best customer service experience.